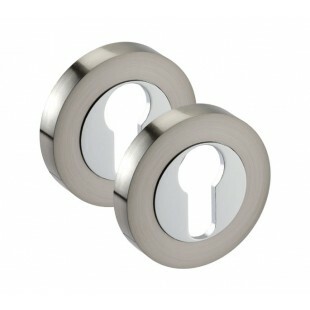 This stylish dual chrome euro lock escutcheon pair is the perfect choice for those seeking a contemporary euro lock escutcheon for fitting alongside a euro cylinder lock. 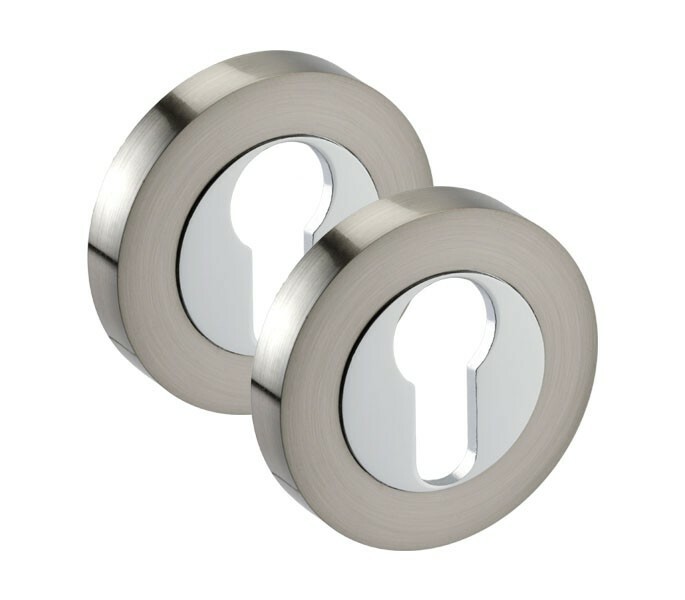 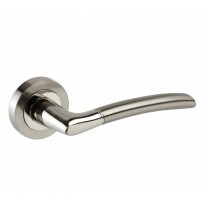 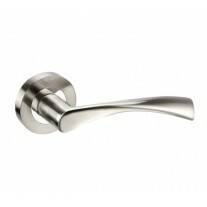 These keyhole covers presented in dual chrome for a two-tone finish features both polished and satin chrome finishes making it ideal for use with our range of duo finish door handles. 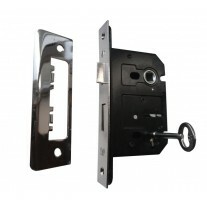 Our euro lock escutcheon plate is sold complete as a pair with wood screws to fit the concealed fixing outer rose. 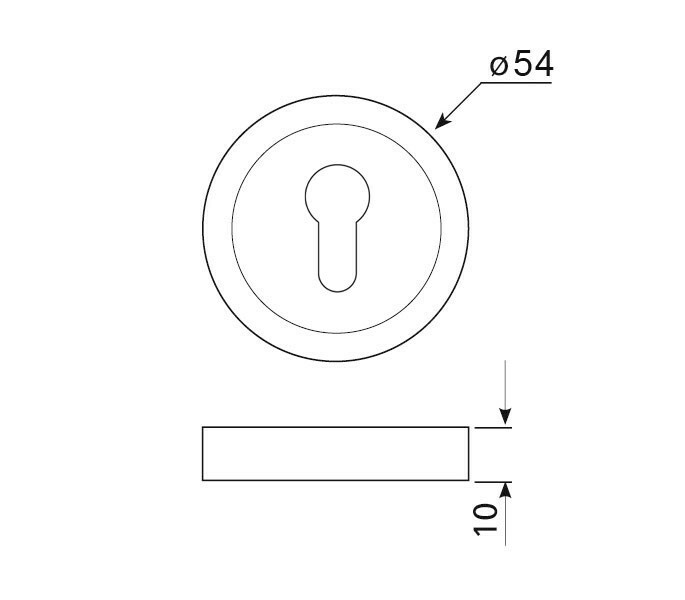 Measuring 54mm in diameter by 10mm thick these escutcheons create an overall neat and tidy solution for your locking doors.